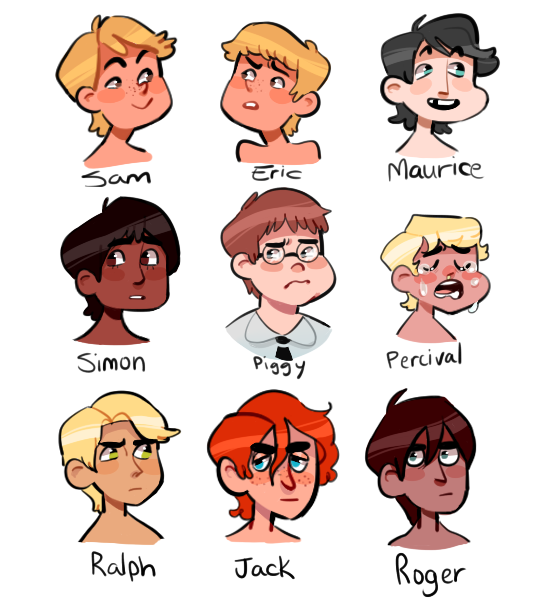 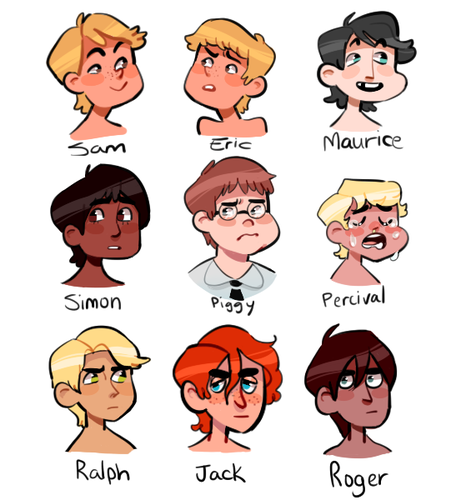 Lord Of The Flies characters. . Wallpaper and background images in the Lord of the Flies club tagged: photo lotf lord of the flies jack merridew ralph piggy simon roger maurice samneric sam and eric percival drawing cartoon fanart art.